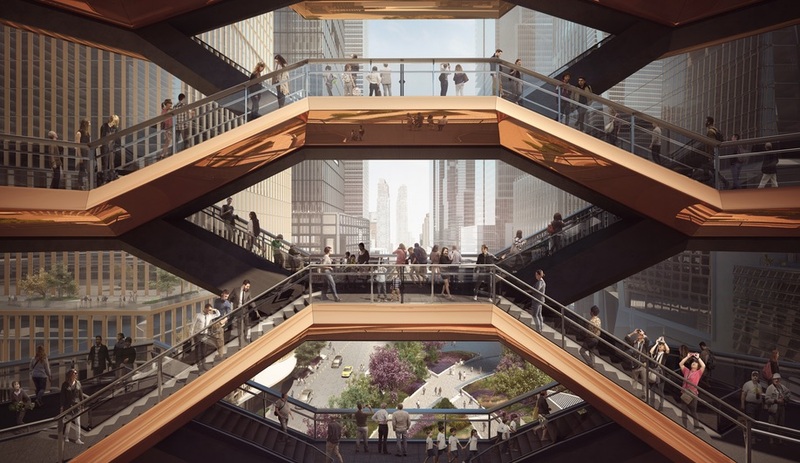 As people cram into cities and living quarters shrink in size, efficient design becomes all the more necessary. 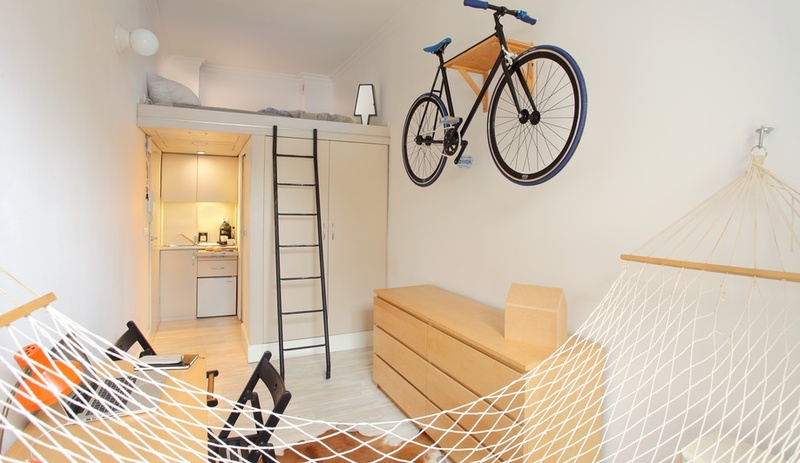 Here are eight clever tiny apartments that prove living well doesn’t require a lot of space. 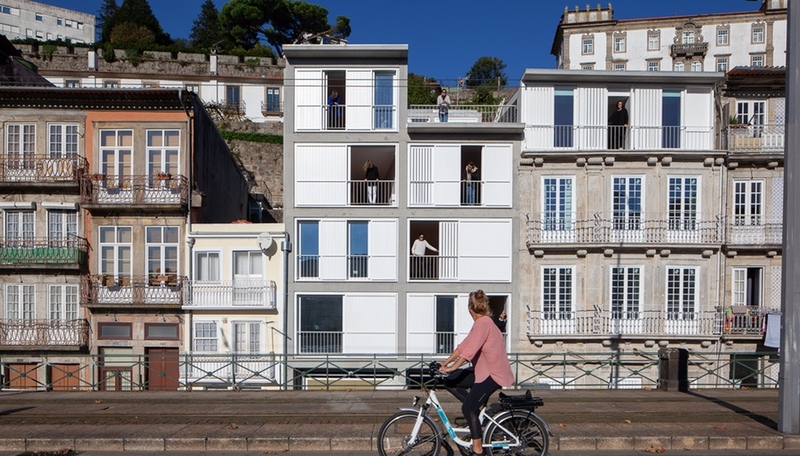 The existing 51-square-metre apartment was divided into two tiny bedrooms, which ate into the living space. 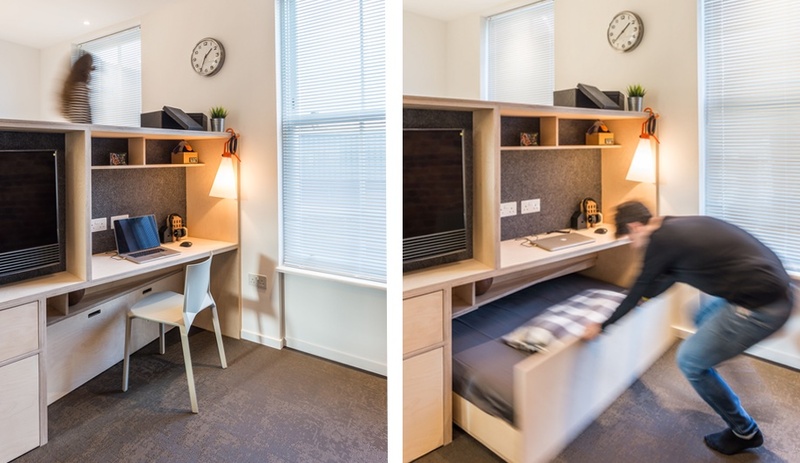 The studio merged the bedrooms and separated the new sleeping space from the living room with a sliding partition, maximizing space and flexibility. A custom dining table can be rolled out to seat groups of up to 10, and hidden compartments and pull-out cabinets provide plenty of storage space. 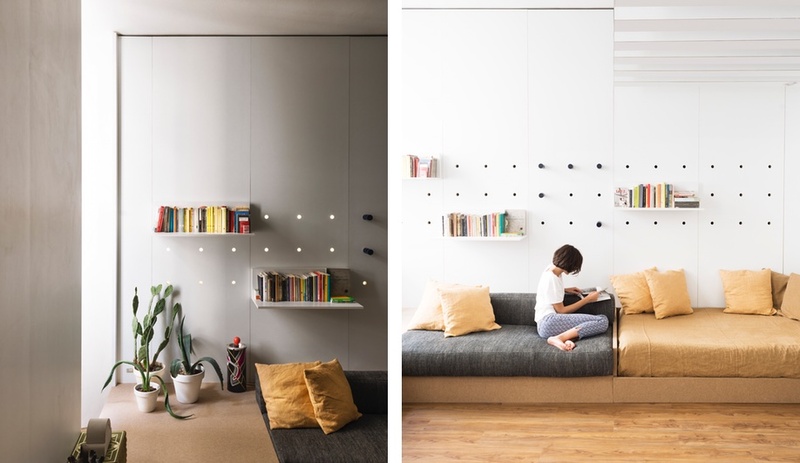 Architect and interior designer Silvia Allori renovated this high-efficiency apartment and workspace in Florence, originally designed in the 1970s to feature a fold-out desk and adjustable peg shelving. Allori added one couch that doubles as a bed, another hidden inside a drawer, and a shimmering gold curtain that cleverly shields the front hall’s mini-kitchen, concealing any mess. It’s where she lives and works. 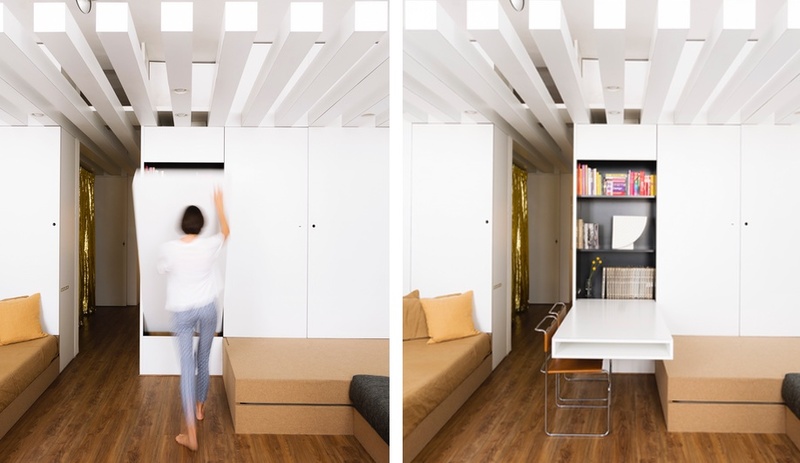 For himself and his wife, Alireza Nemati of Studio Bazi designed this 35-square-metre apartment with an elevated wooden sleeping cube to make space for storage beneath. 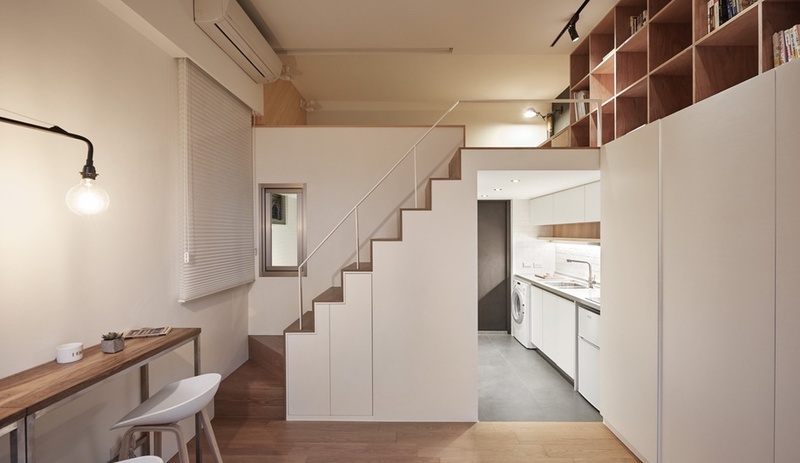 Creating adequate storage is the focus for most tiny apartments and this flat takes it to a whole new level, with drawers on two sides of the staircase, an additional nook next to the bed, and a wall of shelving in the living room area. 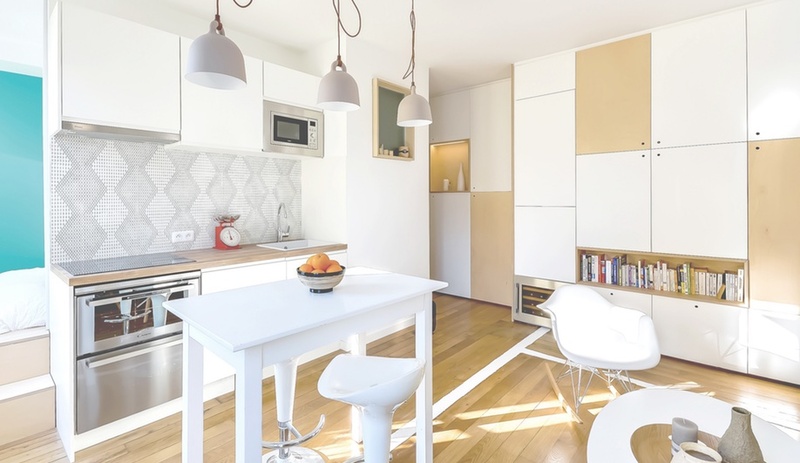 Floor-to-ceiling cabinetry runs the whole length of this apartment, serving a variety of functions: wine cellar, pantry, TV stand, electrical panel and storage space. 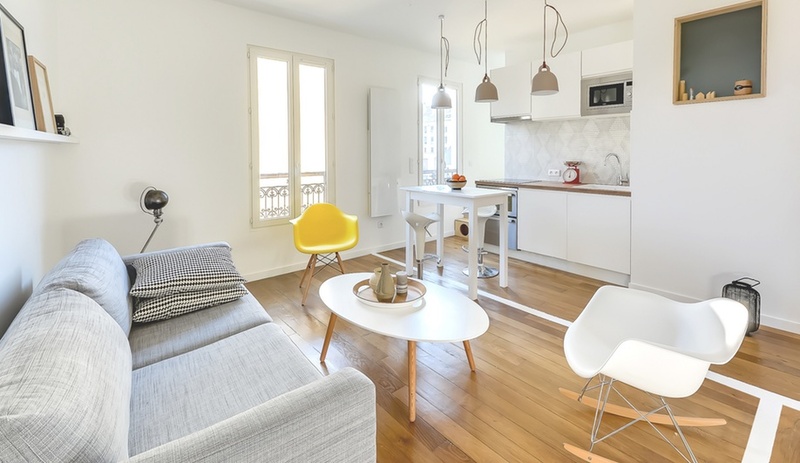 The living room and kitchen share a light-filled space, sectioned off by white lines painted on the floor. Tucked behind and two steps up from the kitchen is a cozy bedroom; the elevation of the bed allows for additional storage beneath. 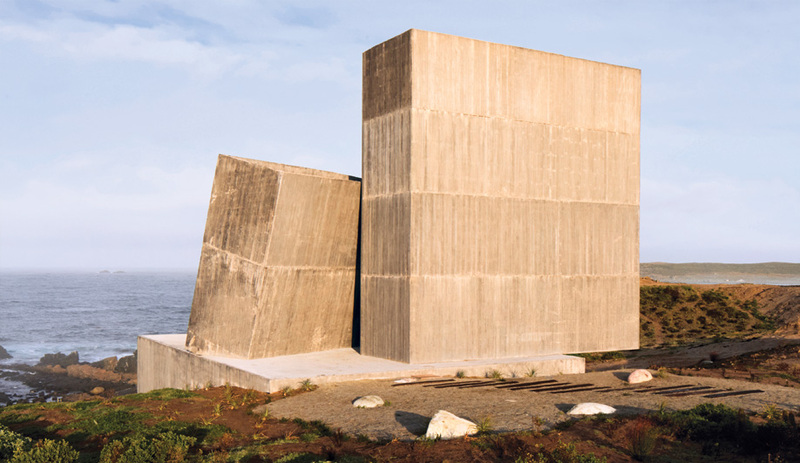 A bathroom, measuring a modest 2.3 square metres, is accessed from a sliding partition in the hallway. To create both openness and privacy in a 50-square-metre apartment, More Design Office used a series of translucent doors to delineate sleeping quarters from the kitchen and living space, allowing light to flow through. 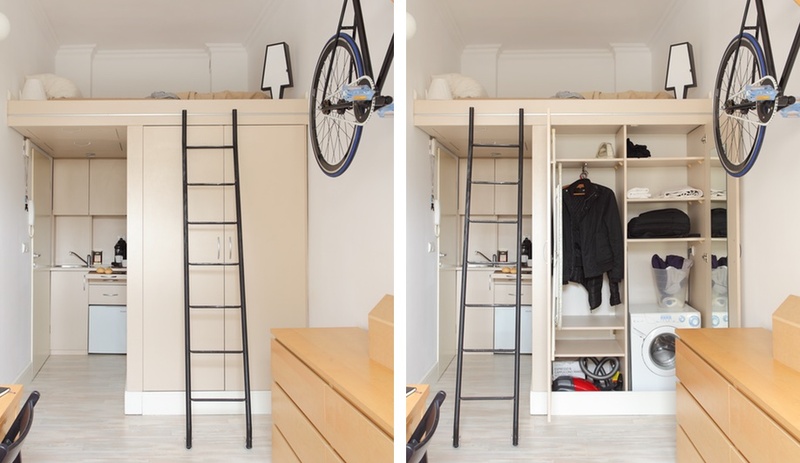 Floor level changes – the living room steps down the from the hallway and the bedroom is three steps above the living room – provide clever storage opportunities and bleacher-style seating for guests. 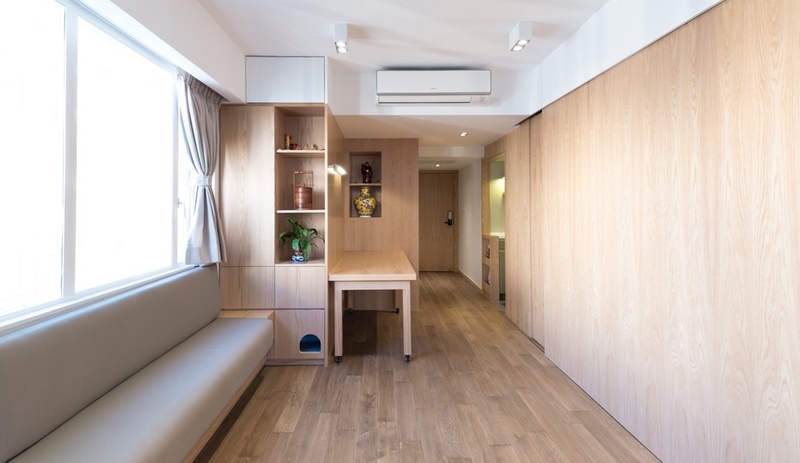 Every nook and cranny is put to good use in this cozy studio in expensive Taipei City. 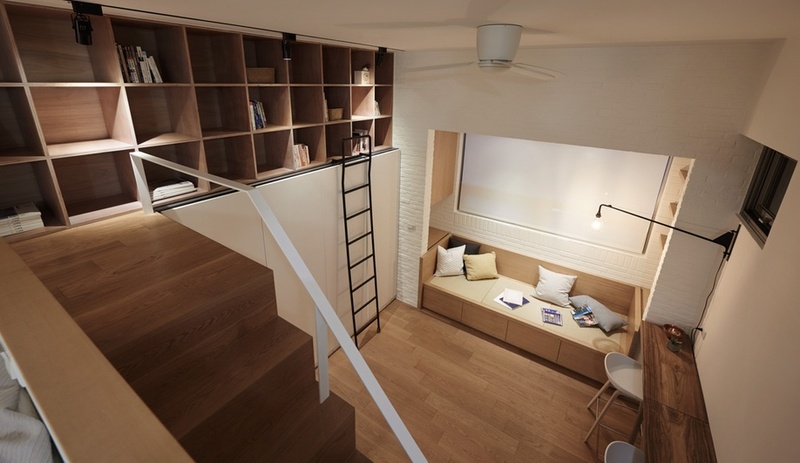 Seating, with storage below, is built into an alcove that’s lined with shelves. Beneath the stairs leading up the sleeving loft, cabinetry conceals a television and shoe storage. 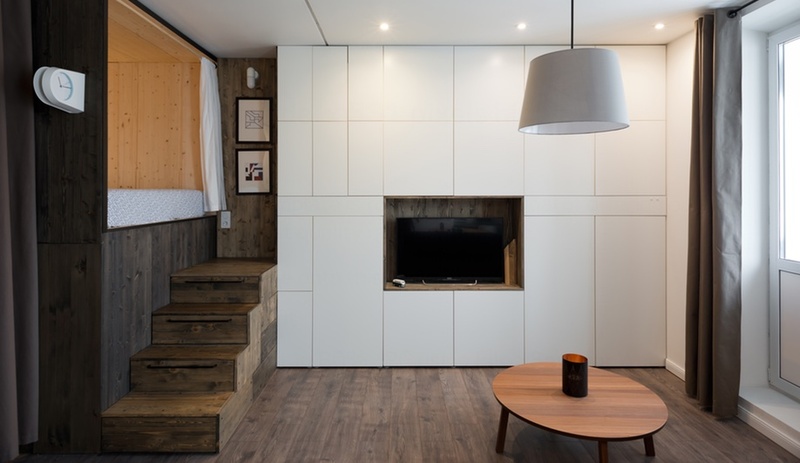 The wall that connects the living area and the kitchen is a huge wardrobe, topped with a wood cubby that extends into the loft. Two narrow wood tables line the opposite wall and can be rearranged to form a dining table for two or more guests. 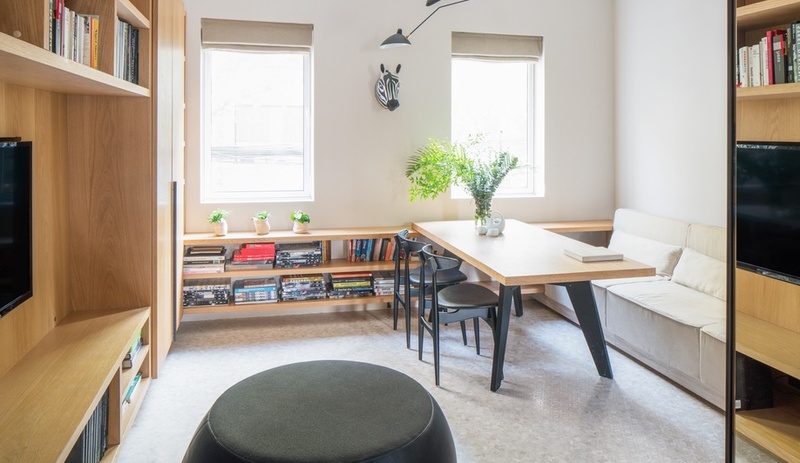 This light-filled London studio by CIAO accommodates up to four people. 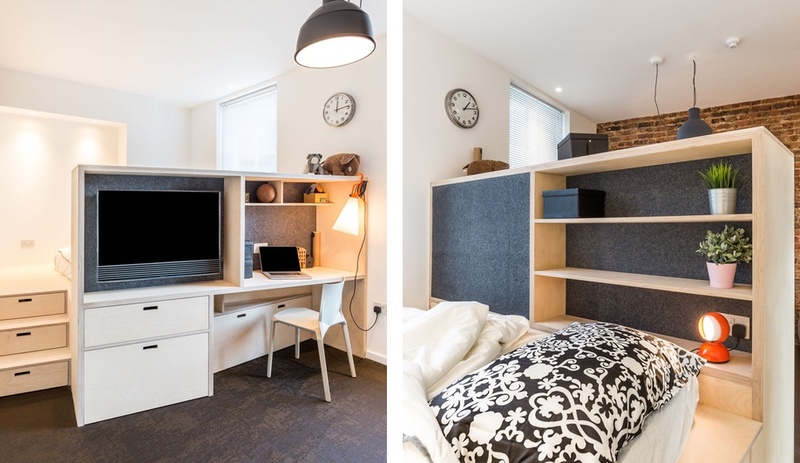 The flat’s mezzanine sleeping space neatly hides a second bed below, while the custom-built home office and bookshelf is lined with soundproof felt panels to acoustically separate the two spaces. 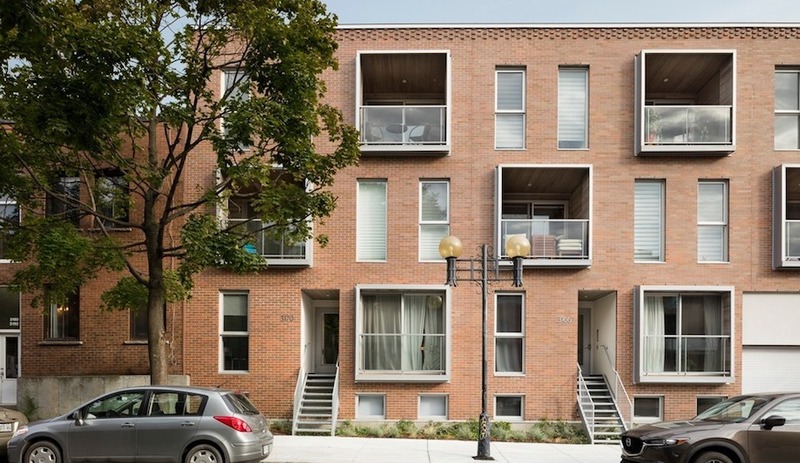 Like many other tiny apartments on this list, oak furniture and white walls keep the apartment feeling airy.